1. The Bureau of Alcohol, Tobacco and Firearms (BAFT) bans the word “refreshing” to describe any alcohol beverage. 3. Anyone under the age of 21 who takes out household trash containing even a single empty alcohol beverage container can be charged with illegal possession of alcohol in Missouri. 4. If a law enforcement officer is having a drink in a bar in Iowa and an employee pours water down the drain, the water is legally considered an alcohol beverage intended for unlawful purposes. WTF?? 5. Don’t plan on running a “tab” in Iowa; it’s illegal. 6. No alcohol beverages can be displayed within five feet of a cash register of any store in California that sells both alcohol and motor fuel. 7. It’s illegal in Michigan for a person under the age of 21 to give a gift of alcohol beverage to anyone, even to a person of legal age. 9. An owner or employee of an establishment in Iowa that sells alcohol can’t legally consume a drink there after closing for business. 11. It’s illegal in New Jersey for parents to give their children under the age of 18 even a sip of alcohol. 12. The entire Encyclopedia Britannica is banned in Texas because it contains a recipe for making beer that can be used at home. 13. It’s illegal in Indiana for liquor stores to sell milk or cold soft drinks. They can, however, sell uinrefrigerated soft drinks. *scratching my head* I don’t get this one. What’s the rationale?? 14. 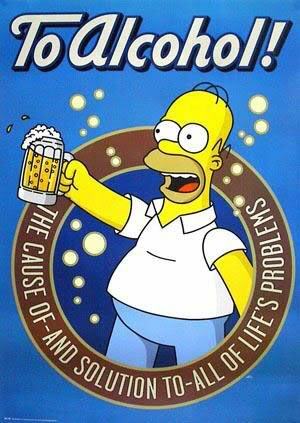 Texas state law prohibits taking more than three sips of beer at a time while standing. 15. Nebraska state law prohibits bars from selling beer unless they are simultaneously brewing a kettle of soup. 16. State law of North Dakota prohibits serving beer and pretzels at the same time in any bar or restaurant.Ok, this one makes sense. They sell pretzels because the salt makes you thirsty and therefore makes you want to drink more….but still. Illegal? Mark Phillips of Alexandria, Virginia, was arrested for selling a single bottle of Chateau Lafite Rothschild wine to an undercover agent in an Alcohol Beverage Control (ABC) board sting. Phillips, as leader of a local wine club had agreed to post the offer on the club’s web site on behalf of a member of the diplomatic service who needed to dispose of that bottle and a few others in preparation for an overseas tour of duty for the United States. In making the arrest, ABC appeared at Phillips’ house with a dozen armed officers and held the accused and his family under guard while officers searched the house. They threatened to confiscate Phillips’ entire personal wine collection, not just the few bottles he offered for sale on behalf of a friend. The case was dismissed on a technicality, but had Phillips been convicted of selling alcohol without a licence, he could have faced one year in jail and a $2,500 fine. 22. In Fairbanks, Alaska, it’s illegal to feed a moose any alcohol beverage. 23. It’s illegal to sit on any street curb in St. Louis, Missouri, and drink beer from a bucket. WHO WAS DOING THIS?????? LMAO!!!! 25. In Saskatchewan, Canada, it’s illegal to drink alcohol while watching exotic dancers.What’s the point then? 26. In the 1940’s, California law made it illegal to serve alcohol to a gay (homosexual) person. Just plain ridiculous! What were they trying to accomplish? And is this still ACTUALLY on the books? Hope you enjoyed all these random facts! There were more in the original article, which can be found here but I didn’t think those one’s were quite as interesting. Anywho…. Happy weekend y’all! Next Windows 7, iMac or Just Say Screw Computers??? OMG!!!!!!!!!!!!! !…I just watched the video and had to comment again…me and my husband laughed soooooo hard when watching that video….I got a headache and had tears comin down…..
Is anyone who reads this from Texas, do you know? Anyone from Texas, please tell me, have they ever tried to uphold that law?? Yeah, those were good ones (well all of em are really) but my absolute favs are the ones highlighted in red. Like the one Lina Lee is talking about…I had the exact same thought when reading that one. I don’t know if anyone is from Texas who reads this, but please, any Texan Classic Ruby fans out there, we would love to know how they manage to uphold this law, and whats the punishment for breaking it?? I know though, isn’t the video TOOOOO funnny! He’s just so F%^&$$# to the gills, and he can’t even sit up straight! The longer I watched the harder I laughed! Priceless!! Everybody, watch your alcohol intake today, you don’t wanna end up like buddy in the video!